Glance through any list of ‘The Greatest Classical Composers’ and chances are that Mozart is at the top. But why? What is it about his music that has kept audiences coming back for over 200 years, that makes him the most-performed classical composer in the world today? 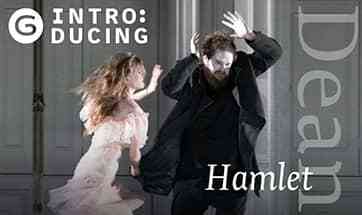 For some it’s his wit – the humour bubbling just beneath the surface of so much of his music. For others it’s the sheer beauty of his melodies, tunes that tug so hard at the heartstrings that they are at risk of snapping, or the dramatic breadth of pieces that move from darkest rage and despair to exuberant, overflowing joy. All of these qualities run through his symphonies, concertos and chamber music, but reach their peak in the operas, the work of arguably the greatest musical dramatist of the human soul. So if you love Mozart but have yet to explore opera, here are just a few reasons why you should take the plunge this autumn with his thought-provoking comedy Così fan tutte, on stage as part of Glyndebourne Tour 2017. The same sunny good-humour that beams out of Mozart’s Eine Kleine Nachtmusik and lilts and dances its way through the Horn Concerto in Eb major is the spirit that makes Così fan tutte such an irresistible comedy. False moustaches and exotic disguises provide plenty of slapstick comedy, but it’s the musical humour that gilds it with human warmth. Masterminding the plot’s twists and turns are the prankster Don Alphonso and his irrepressible sidekick Despina. You don’t have to speak Italian to understand the laconic skill with which Alphonso winds up the credulous young lovers Guglielmo and Ferrando in Act I ensemble ‘E la fede delle femmine’ (Women’s constancy), or to be swept up in Despina’s enthusiastic impersonation of an eccentric doctor in the Act I finale (‘Eccovi il medico’). Melodies don’t come lovelier than the endless arabesque that is the slow movement of Mozart’s much-loved Clarinet Concerto. The same wistful beauty makes Ferrando’s ‘Un aura amorosa’ (A breath of love) one of the loveliest and most heartfelt episodes in Così. 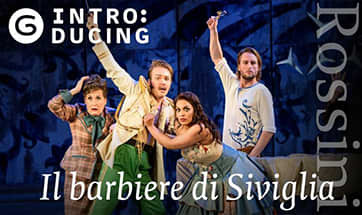 A cynical test of love and fidelity might be at the heart of the opera’s plot, but this is a moment of pure sincerity – a radiant love-song of an aria that expresses all that Ferrando cannot say directly to his beloved Dorabella. Mozart’s Symphony No. 40 is a stormy affair (one of only two symphonies he wrote in a minor key), whose throbbing string rhythms and sudden surges of emotion carry you along on a turbulent wave of drama. 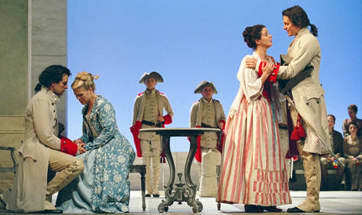 Così’s passionate Fiordiligi, torn between her love for Guglielmo and her attraction to a mysterious Albanian (really Ferrando in disguise), finds herself in similar emotional turmoil. Her aria ‘Come scoglio’ (Like a rock) is an explosive expression of her fidelity, whose huge leaps and impulsive mood swings reflect the emotional conflict she denies in her words – a vivid musical portrait of a woman torn in two directions. Mozart loved sopranos so much that he married one. Much of his best music, including wedding favourites Exultate, Jubilate and Laudate Dominum, is a love-letter to the female voice in all its many moods and colours, celebrating its capacity both for thrilling virtuosity and consoling loveliness. Soprano Fiordiligi is the emotional core of Così – a woman who feels deeply and wears her heart on her sleeve. Her glorious aria ‘Per Pieta’ (In pity’s name) gives us a window into her growing attraction to the disguised Ferrando, her feelings stealing up on her as gradually as the delicate melody that gradually reveals its scope. 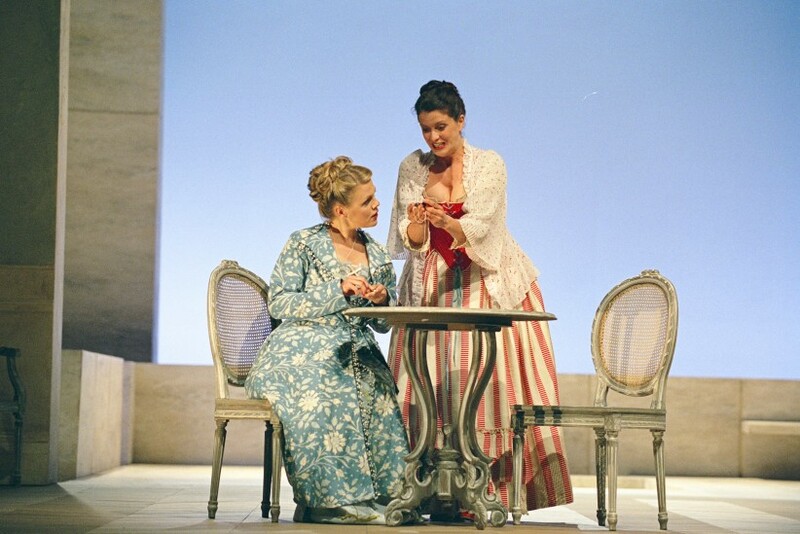 The role of Dorabella is now most often sung by a mezzo, but in Mozart’s day it would have been a soprano. The only thing better than one soprano is two, and the composer takes evident delight in pairing his two female voices in the exquisite trio ‘Soave sia il vento’ (Fair be the breeze), in which Fiordiligi and Dorabella float like the breeze that carries their lovers off to “war” above the anchoring bass of Don Alphonso. It’s Mozart at his most transcendently beautiful – a moment of pure loveliness that transforms a cynical trick into a heartfelt emotional truth. 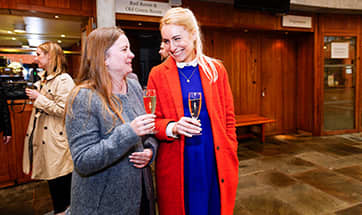 Così fan tutte is on stage this autumn at Glyndebourne, The Marlowe Theatre in Canterbury, New Victoria Theatre Woking, Norwich Theatre Royal, Milton Keynes Theatre and Theatre Royal Plymouth.